Get the inside scoop on the poker books for beginners you cannot afford to miss with hidden gems and some of the best books ever written on the game of texas holdem. 41 Texas Holdem Tips & Strategies the pro’s use to take your chips. Use these tips to improve your poker game before you sit down on the felt again! Learn all about Expected Value, Counting outs, Pot Equity, & Pot Odds. This is the fundamental math of poker and you shouldn’t be on the table without it! 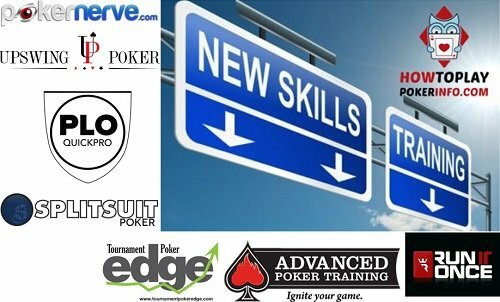 Find the best poker training sites around the web such as Raise Your Edge and Upswing Poker Lab which have thought 1000’s of players how to improve their game. Get the best and latest deals for online poker rooms to suit your needs and find out some must know tips before selecting your first poker room. How To Play Poker For Beginners rules of poker. Check this out if you are new to the game and want to get the basics down before joining the table. Get started with Texas Holdem poker with this easy to use Texas Holdem poker cheat sheet. New players love our poker cheat sheet as it tells them everything they need to consider before playing the game we all love. 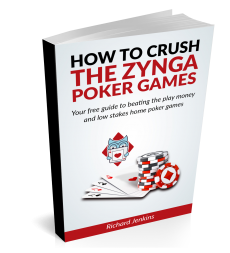 Discover over 30 poker tells which will help you work out whether your opponent has you crushed or has a pair of napkins! If you play live poker, this is a must-read. Find out how to build ranges in our range construction post. I also give away free templates and databases so you can get working on your game straight away. Hello! My name is Rich and I am the owner of HowToPlayPokerInfo and if you are new to poker or you are struggling to beat small stakes or home games then this website was created for you! I have been playing poker online, on and off, since I turned 18 (and maybe a little before then too!) but never took it more seriously than playing part-time during university. I fortunately did not need a job while in university and was able to be financially independent because of poker, so I have a lot to thank for the great game. I was only able to play full-time during the summer months, as studying always took priority over playing poker. Now I am working on my PhD in Mechanical Engineering so poker still only gets my attention during weekends and evenings. Here are my results back in 2015 with about 375 hours of play which works out at about $45 an hour – not bad for a part time student of the game. I mostly play cash games poker but also dabble in tournaments from time to time. The hands shown above were all played at zoom on PokerStars which is a fast variant of poker that is very competitive. I don’t claim to be a world beater at poker but I do know my way around the poker table and learned a lot along the way which is why I made this website. I want to help you bring you the best information for learning how to play poker targeted towards beginner to novice poker players. My goal is to help you increase your win rate and become a successful poker player – after all, poker might be fun, but it’s more fun when you are raking in some chips! It doesn’t matter if you have only ever played 100 hands of poker in your life, or ground out 100,000 online and haven’t made a penny – there will be something in here for you. Poker is a difficult game and you won’t make a quick buck playing unless you get really lucky! But in the long run, only the best players win so you want to make sure you are working towards becoming a great player. But if you are willing to work on your game and focus on getting better at poker, I will be able to help you get there! To start learning how to play poker, my first recommendation would be to go to our poker 101 page where you can learn the fundamentals of poker. We have guides on Texas holdem strategy, using poker position and some common mistakes you should definitely avoid. We also have a poker cheat sheet which will teach you some of the rules of poker you need and basic strategy you should follow. If you want to learn the math of poker, check out our poker lessons page where you will be taught pot odds, implied odds, counting outs, expected value and more. For more advanced players will want to check out our poker tips page where we have over 40 tips that you can use to quickly improve your poker game today. Is reading your thing? Well, then our best poker books page has everything you need to know including top sellers and hidden gems that you wouldn’t want to miss. My favourite poker book is included in that list – Applications of No Limit Holdem by Mathew Janda (although this book might be too much for a beginner) and How To Study Poker by Sky Matsuhashi. Want to figure out whether your opponent is bluffing or not? Our poker tells page lists over 30 poker tells you need to look out for on the poker table – your opponent might be telling you what he has and you don’t even know it if you don’t read these! For players who want to learn to play poker very quickly, I recommend some paid training options. I ranked the best 7 in my popular post here but they include some advanced options. PokerNerve also has an awesome course called the Road To Success Course which is perfectly suited to beginners learning to play poker from scratch. I really enjoyed this course and it starts from complete basics of poker so is suitable for all levels. A complete beginner should check out the upswing poker lab which has all the tools and content to bring you from a complete novice to a low stakes crusher in a couple of months. I highly recommend this training site! Finally, another popular post with more advanced poker players is range construction which you can check out here. Good luck on the felt and I hope you crush it in your poker career!